For the month of January my "OUT OF THIS WORLD" advertisers got it for free in order to kick off the program. They have been extremely amazing! So without further ado, here are my AMAZING ADVERTISERS FOR THE MONTH OF JAN! 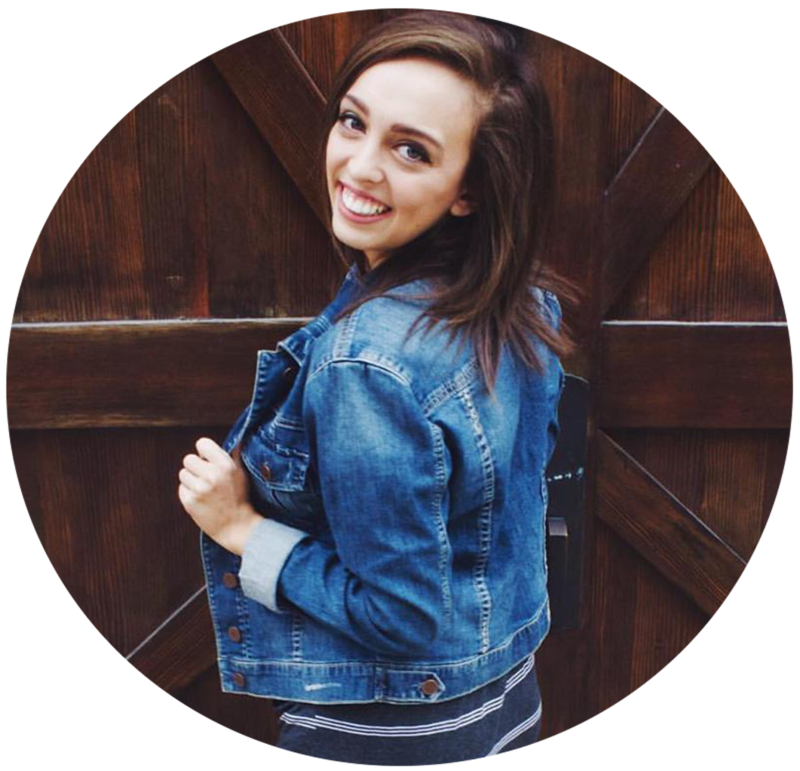 Ariel is a 24 year old lifestyle blogger from Keys to My Life. 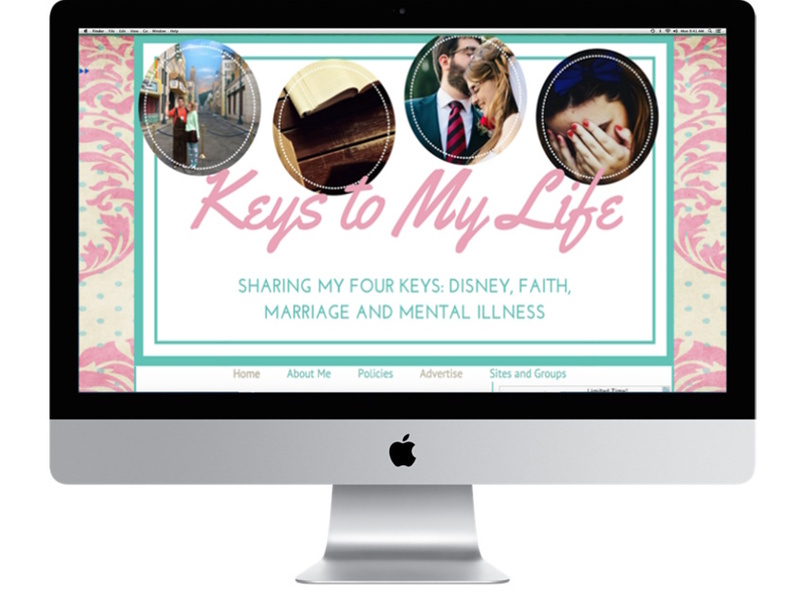 She shares her thoughts on faith, her new marriage, mental illness, and her adventures with Disney! She is beginning to blog more consistently, and has started to post a wider variety of topics for her readers. As she moves into the new year, she's excited to keep moving forward with blogging and meeting new readers and bloggers! 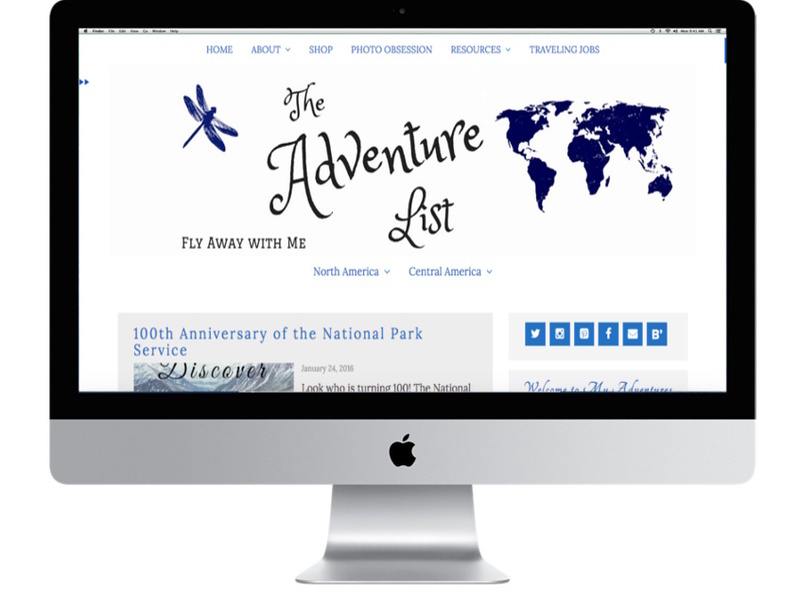 The Adventure List explores seasonal working opportunities for those that want to travel but aren't sure how to afford it. Tricia also writes about her travels, latest photo obsessions and addiction to restaurants. Interested in visiting Alaska? She is the expert as that is home base. Hi! 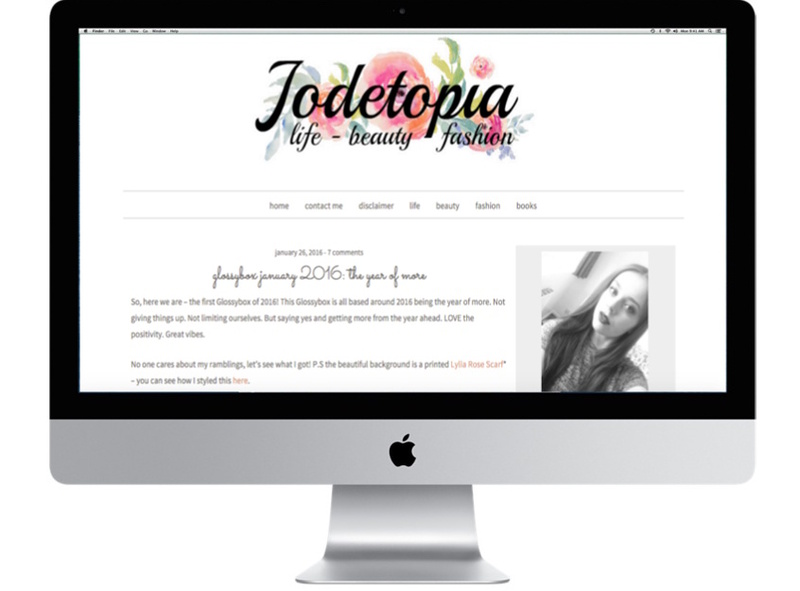 I’m Jodie and I have a lovely little space on the internet called Jodetopia where I blog about all things life, beauty and fashion. Jodetopia was created to be my utopia - my place to escape from the stress of everyday life and share my thoughts and experiences with whoever fancied reading them. Whilst I’m still fairly new to the blogging scene, I’ve become absolutely obsessed with my blog and have lots of exciting things planned over the next few weeks, and I’m really looking forward to what 2016 is going to bring! I never knew just how big the blogging community is, and chatting with fellow bloggers has quickly become one of my favourite parts of this experience. So, don’t be afraid to come and say hi! 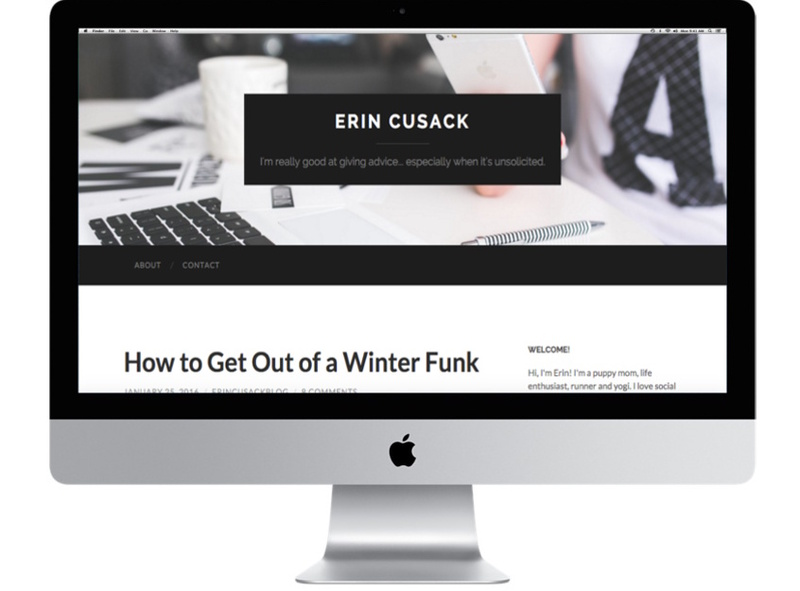 Hi, I’m Erin and I blog over at Erin Cusack Blog, where you can find my rambling and unsolicited advice on everything from enhancing your career, to starting a blog, to finding your bliss. I love challenging myself and sharing the things I learn along the way with others! You should come visit my blog, and then follow me on Twitter, where I share my thoughts as I plow through Making A Murderer and other things on the Flix. 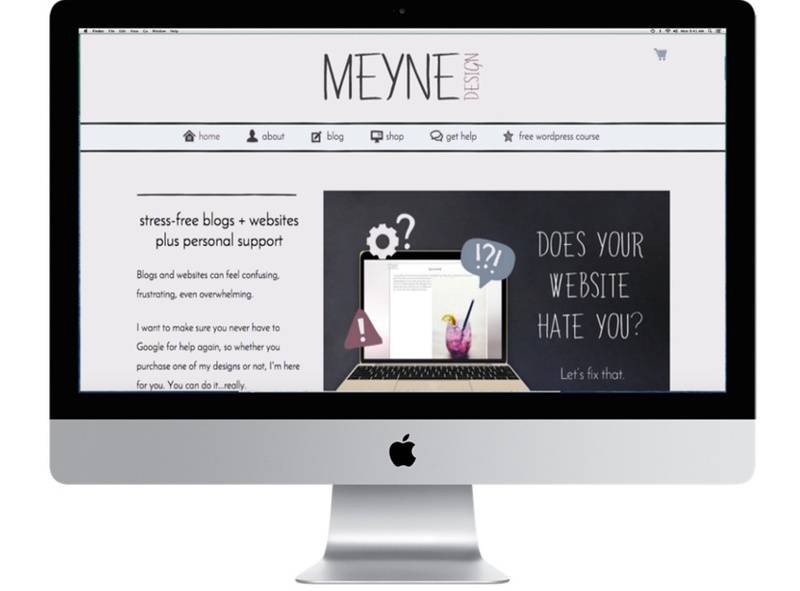 At Meyne Design, I help bloggers and small biz owners create awesome websites, minus all the stress. Starting with free video tutorials for newbies to customized personal coding help for the DIYers to fixing things for you so you don't have to worry about a thing. I also have a selection of pre-made blog and website designs so your site will not only be functional but look great too, right from the beginning. Meyne exists so you'll never have to Google website questions again. TO MY ADVERTISERS: Again, thank you so much for this awesome month! Without you all, I wouldn't have been able to launch my sponsorship program! So fun! I love meeting new bloggers :) I'll be sure to check some of these out! I'll have to check these blogs out - thanks for sharing! This is pretty exciting, I will have to check these bloggers out. Lots of great sponsors! Off to check some of them out now!